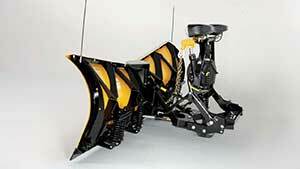 The FISHER XV2 V-plow provides a new standard in V-plow performance and durability. "While retaining the best of our popular XtremeV™ V-plow, the new XV2 snow plow adds performance and durability features that take V-plow productivity and reliability to another level," said Andy McArdle, Fisher Engineering Product Manager. "The most noticeable change is the extreme flared blade design. The blades now rise from a 31-inch center height up to 39 inches at the outer edge on the 9'6" models. 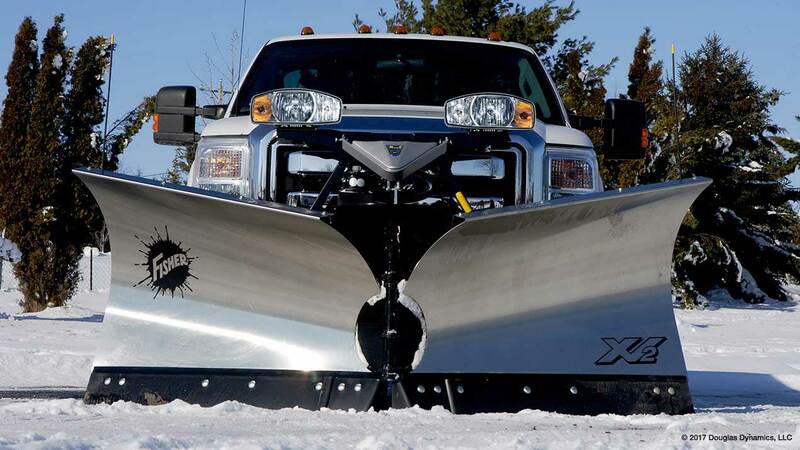 Stainless steel blades are available in 7'6", 8'6" and 9'6" widths while the two widest plow blades are also available in 14-gauge steel with Fisher's STORM GUARD™ powder-coat finish. The enhanced center hinge now features three connection points for added strength plus a larger 1-1/4" diameter heat-treated center pin for more durability. "Super fast hydraulics deliver maximum plowing efficiency,” adds McArdle. "And the trip-edge design provides protection in all blade configurations, getting you over obstacles without losing your entire load of snow." Standard InstaLock double-acting cylinders hold the plow wings firmly in place for clean back-dragging while allowing you to lock both wings together to easily maneuver your snow plow as a straight blade. Other standard XV2 V-plow features include the FISHER FLEET FLEX electrical system for true fleet interchangeability with programmable features like "soft-stop", "one-touch float" and the SECURITY GUARD™ anti-theft system. 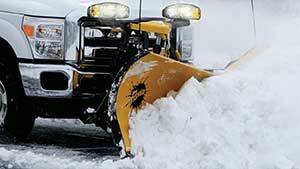 The XV2 snow plow also incorporates the proven Minute Mount® 2 mounting system for fast and easy hook-up. 6' 10" (full V) 914 lb. Optional 3/8"
7' 8" (full V) 957 lb. Optional 3/8"
8' 7" (full V) 1044 lb. Optional 1/2"